Insurance interests are up in arms about a House committee’s approval of a bill that would allow plaintiffs to recover prejudgment interest on noneconomic claims, including pain and suffering. HB 469 says that plaintiffs who prevail in lawsuits could collect interest — at a rate now set a 4.9 percent, but varying with inflation — from the date of a loss. They could collect against attorney fees and costs, too. Exiting law provides for prejudgment interest on economic claims only, or when provided for by contract. The Civil Justice & Claims Subcommittee approved the measure Thursday on an 11-4 vote. Details here (scroll down). A companion measure, SB 334, by Sarasota Republican Greg Steube, has cleared the Senate Judiciary Committee. Sponsor Shawn Harrison, an attorney from Tampa, said plaintiffs could not collect interest on punitive damages. The bill would clarify a “gray area” in the law, he said. Katie Webb, representing the Property Casualty Insurers Association of America, warned the measure would increase pressure on carriers to settle unworthy claims. “It could create an incentive for insurance companies to settle cases early, prior to thoroughly investigating and defending, when appropriate, certain claims that are questionable,” Webb said. 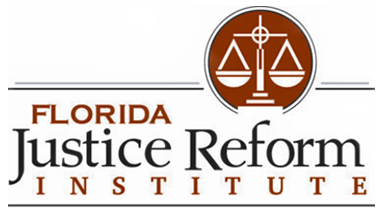 Representatives of the Florida Chamber of Commerce, Associated Industries of Florida, the American Insurance Association, and the Florida Justice Reform Institute were among those who opposed the bill, warning of the potential to increase the cost of doing business. James Gustafson, representing the Florida Justice Association, argued existing law makes an unfair distinction between economic and noneconomic damages — say, loss of vision. Such an injury “every bit as significant and important and real” as an out-of-pocket loss, he said. Committee members Erin Grall noted that before prejudgment interest becomes an issue, there has to be a judgment or verdict. “For anybody to take for granted how easy it is to prove causation, you have not presented in front of a trial court in Vero Beach, Fla.,” she said. George Moraitis Jr. thought it unreasonable to expect defendant companies to calculate pain and suffering awards. “It’s a speculative number, and no one really at the beginning can say what do they think a potential jury of unknown people at the time a case starts, how much is that going to be worth,” Moraitis said. Following the vote, Personal Insurance Federation of Florida President Michael Carlson issued a written statement reiterating that the bill would inflate insurance and business costs. “PIFF member companies believe that people who suffer damages through the wrongful action of others should be fairly compensated for their losses. Florida law currently provides access to redress and means for full compensation and should not be changed to suit special interests,” he said.